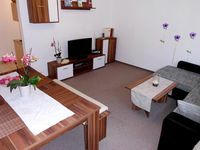 Property 14: Apartment "Korte" - Apartment "Korte"
Property 17: Holiday Bungalow - bungalow "Ebel"
"Röbel's most beautiful house 2017"! On to LaGa 2019 to Wittstock! Property 20: "Röbel's most beautiful house 2017"! On to LaGa 2019 to Wittstock! Property 31: Apartment "tree" - Apartment "tree"
Apartment "Kohlmetz" - Apartment "Kohlmetz"
Property 44: Apartment "Kohlmetz" - Apartment "Kohlmetz"